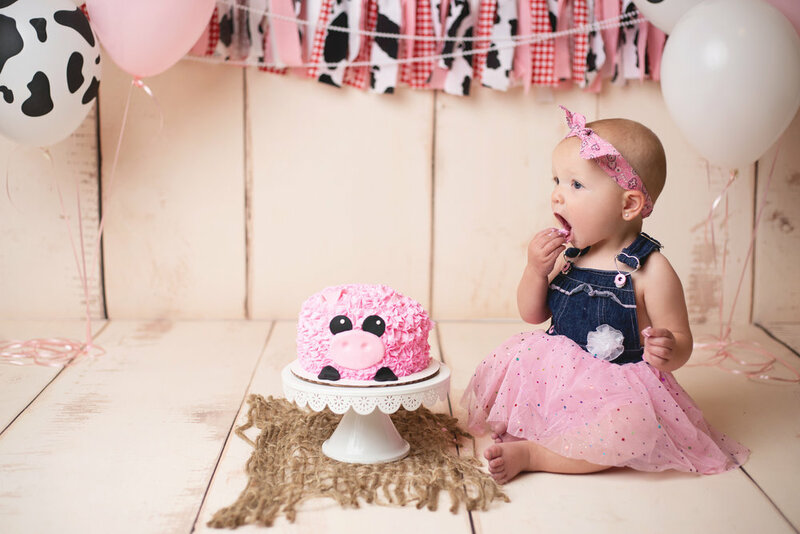 How cute is the setup for this little cake smash? Fun fact about this little girl; I did her mom's maternity session while she was pregnant with her and their sessions are always some of my favorites. Baby girl started out a little timid about wanting to get into the cake (check out that one finger move! 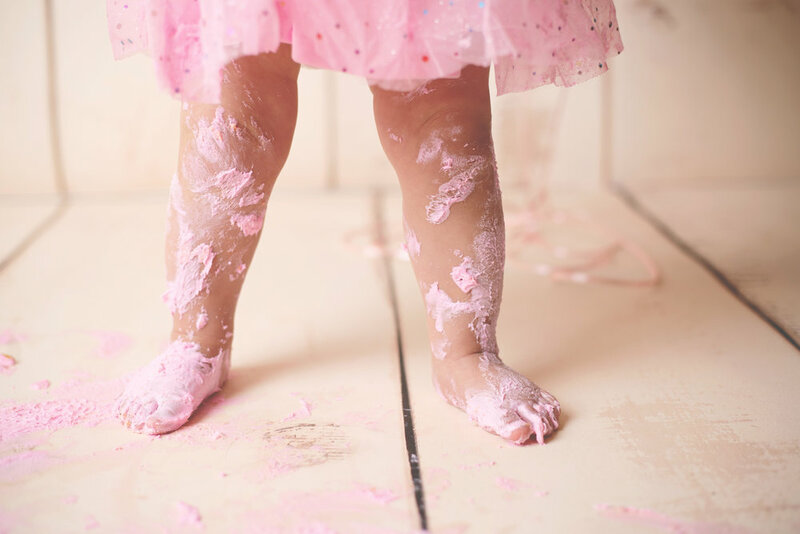 ), but by the end of it, she was as covered in cake as everyone else is. 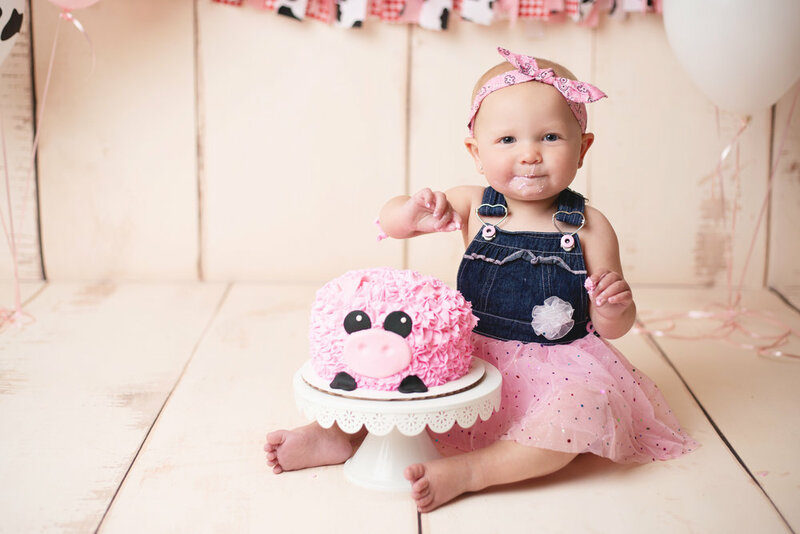 Big thank you to Lesley's Cakes, LLC for the super cute piggy smash cake! 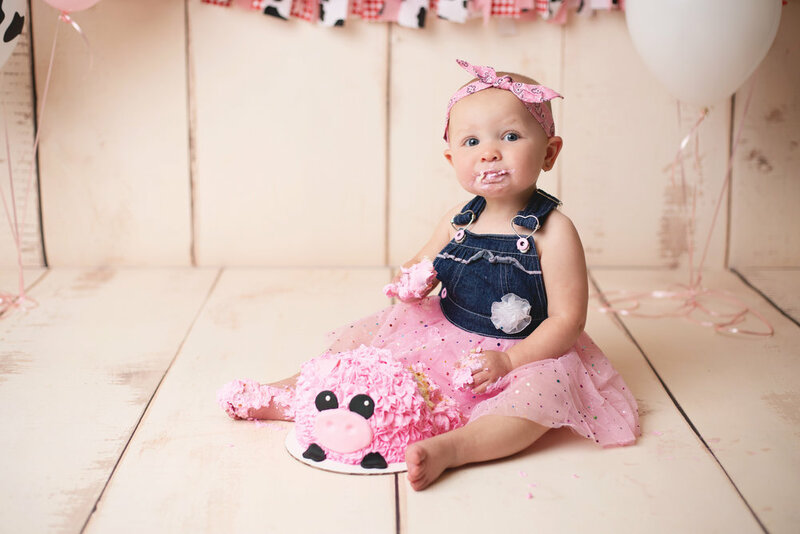 Anchorage Cake Smash Photographer | Cake Smash Bucket List!